The DVD Live at Wembley captures the hysteria of Jackson in London in his first world solo tour and only North American tour. Not surprisingly, it’s a spellbinding performance by the King of Pop and the set list draws material from Bad, Thriller, Off the Wall and even a medley of Jackson 5 hits. As an entertainer, Jackson pulls out all the stops, including recreating the werewolf from the Thriller video. 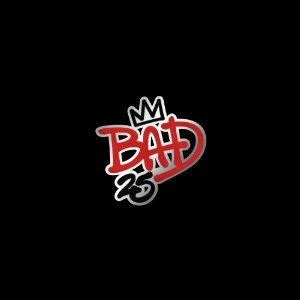 It’s also interesting to notice a then-unknown Sheryl Crow singing backup and sounding quite a bit different when she duets with Jackson on “I Can’t Stop Loving You.” Overall, Bad25 makes a strong case not as the sequel to or son of Thriller, but as a work that deserves to stand on its own.